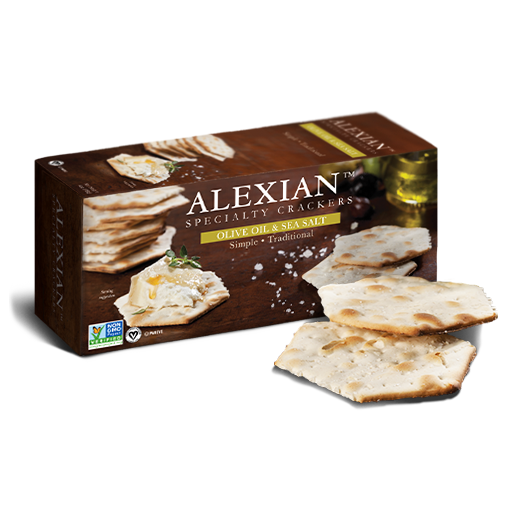 In keeping with Alexian’s commitment to high-quality products, Alexian Specialty Crackers are made with three simple ingredients and nothing artificial. 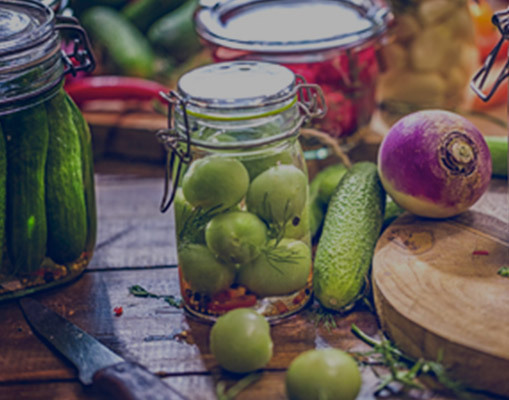 They are also Non-GMO Project Verified, Vegan Certified and Kosher. The subtle flavors of olive oil and sea salt are the perfect enhancement to the crackers’ light, crispy texture. 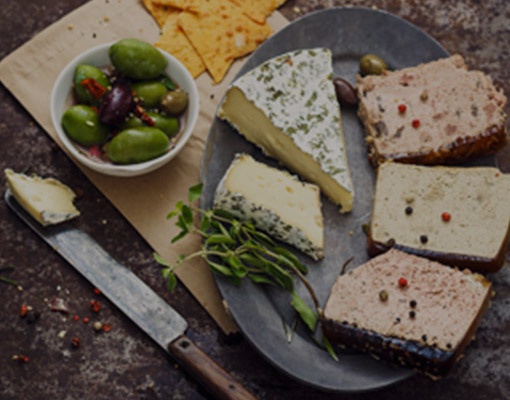 The crackers are intended to accompany our pâtés and charcuterie but also pair very well with cheeses, spreads and other appetizers without overwhelming them. 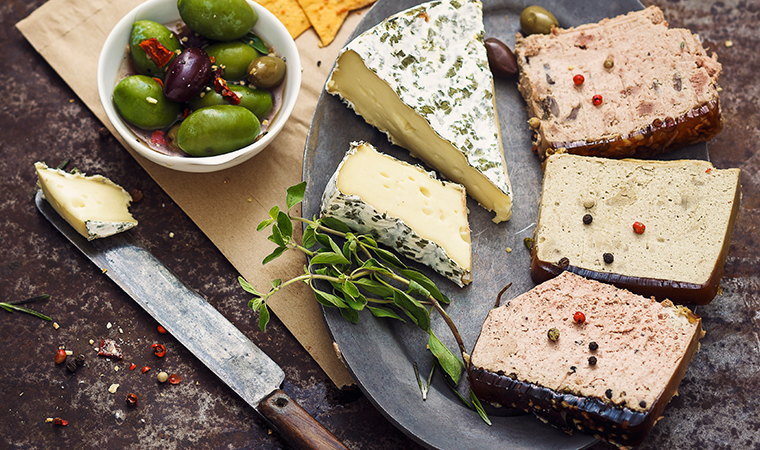 Smoked cheddar complements the bold flavors in our classic New York deli style Chicken Liver Pâté . Kid approved and a classic, this Caprese style serving goes perfectly with the hints of olive oil in our crackers. 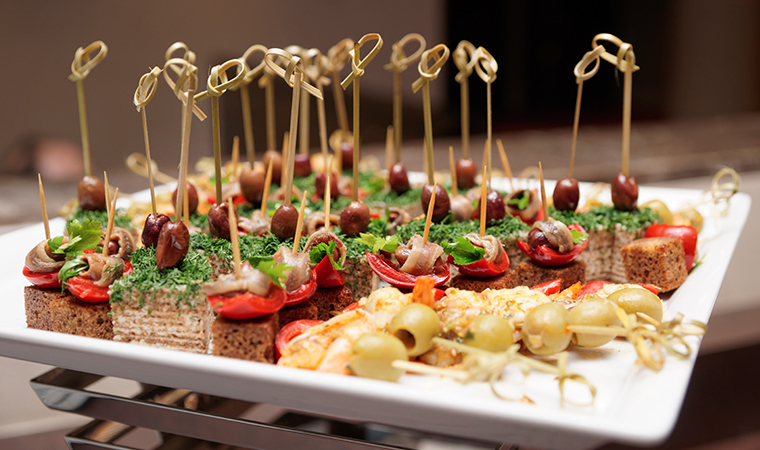 Simple Mediterranean favorites work in harmony to create the perfect bite, you can also use roasted red peppers in place of sun dried tomatoes! A comforting combination for a fall day, our Black Peppercorn Mousse goes perfectly with caramelized onions and a mild smoked gouda. Figs are a lovely late fall fruit, and the balsamic drizzle brings out their natural sweetness, while the goat cheese provides a creamy balance. Creamy hummus with crunch cucumbers and carrots make a bright, protein-packed bite for hungry crowds. It’s great on a sandwich, but it’s even better on our crackers. Pair avocado, deli sliced turkey and either shredded or sliced swiss for a perfect appetizer (or lunch on the go). Smoked salmon and cream cheese are usually found on a bagel, but our crackers make a great vehicle too. Add a sprig of dill for a fresh balance to the creamy and smoky flavors. 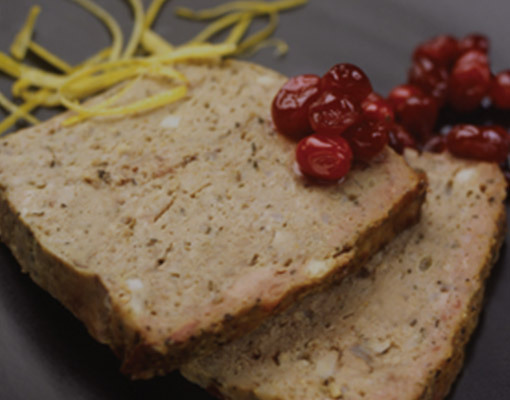 As the name suggests, our Pheasant Rosemary Pâté already has hints of rosemary and pecans, but adding extra on top brings out the flavor. Toast the pecans for extra flavor!